Our Best Dungeon tournament continues with two new titles. 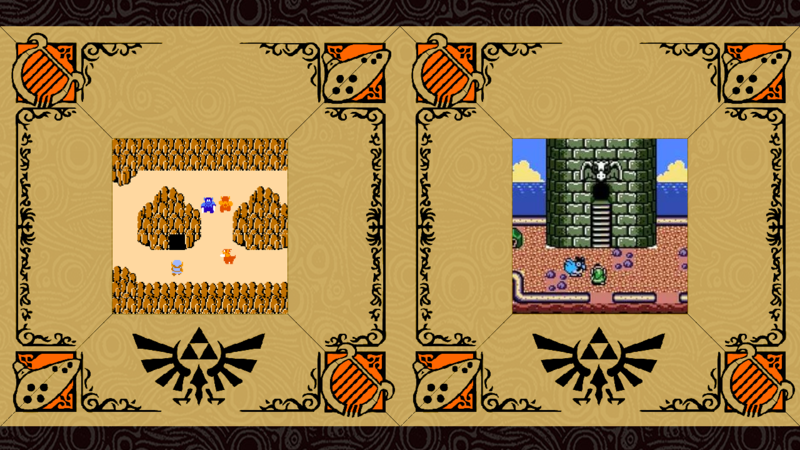 As Mermaid’s Cave and Sky Temple duke it out in yesterday’s poll, the winning dungeons of The Legend of Zelda and Link’s Awakening step into the fray. Death Mountain of the original Legend of Zelda is a beast of a dungeon, dwarfing all others found in the game with its size and complexity. The enemy encounters are fierce, so players have to be sure that they are ready before they enter these dark halls. Navigation can be just as challenging, as there are many potential paths to the final fight with Ganon. But as difficult as this dungeon can be, overcoming the challenge always feels so, so satisfying. Fred Stanton: “[I] chose Level 9. I try to play and beat Zelda 1 once a year, every year, for nearly 30 years. Each level has it’s quirks, but you really need to use your head for 9. It took me til the 90s before I found the Red Ring. Eagle’s Tower is unique in that it emphasizes verticality in its design. Link must scale several floors of this mysterious structure and eventually bring the top floor crumbling down by destroying its support pillars. Watching the tower collapse is one of the most cinematic moments in the entire game. Eagle’s Tower is also memorable due to its mini-boss, the Grim Creeper. This snarky skeleton confronts Link a few times throughout the dungeon, culminating in a fight on the top of the tower. How many Times will Mases die before finishing Faces of Evil?